A. If you are on a computer, simply click on the player on the left side of our website. 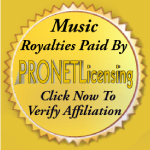 Once you click on the player, it will open another page through our provider ProNetlicensing.com From there you can hit the play button and enjoy. Q. I am on my smartphone &/or tablet. Can I still listen? A. YES – Most can usually listen direct off the website on their phone. You can also find us on TuneIn and iTunes under their Radio Directory. Q. How can I get in touch with the DJs? A. Each one of the DJs has a profile page under the STAFF button at the top of the page. From there you can connect with them through their social media accounts or email. Requests, Comments, etc. are always welcome. Show them some love. Q. Where is www.iRockRadio.me from? A. Being an “internet Radio Station” we broadcast from many locations. Our station was created in Harrisburg, Pennsylvania as many of the D.J. Personalities are from the state of Pennsylvania. All DJs do their shows from their own studios throughout Pennsylvania, New Jersey, New York, Ohio & Arizona. Simply put – www.iRockRadio.me is everywhere, but you can find us primarily out and about throughout the eastern half of Pennsylvania. Q. I am in an indie band, who do contact to get my stuff played? A. We have a feature for independant bands where they are included in regular rotation with major record label artists called “iRock Indies”. Currently your contact would be Jay Hunter at irockradio365@gmail.com. Check under the FEATURES button at the header for “iRock Indies”. Q. How do you decide what it is that you are playing? A. It is a combination of released singles from various artists through various genres & eras. Some are still popular, some have been forgotten, some are album tracks from popular artists and some we just liked. The newer tracks we play are usually voted on by a panel. Q. What is the “Studio Time” clock for? A. Since www.iRockRadio.me broadcasts all over the world, we wanted to have a clock showing what time it is where we are. The reason is simply that if we are going to air an interview, make a special announcement, etc. we would like to tell you it is being done at a specific time. We will always announce that as “iRock Radio Studio Time” which is provided in the upper left portion of our website. Q. I never heard of a website with a “.me” at the end before. What is this? A. As the internet continues to grow, more websites are constantly being built. Because of this, more domains needed to be created than the popular .com, .org & .net. Out of all the domains available, when this website was created, “.me” seemed very unique and memorable. We went with it and hope you find it as memorable as we do. Just remember it begins with “I” and ends with “ME”.